Bengaluru: Former India captain Rahul Dravid said Bangalore United Cricket Club (BUCC) laid the foundation for his success at the international level. 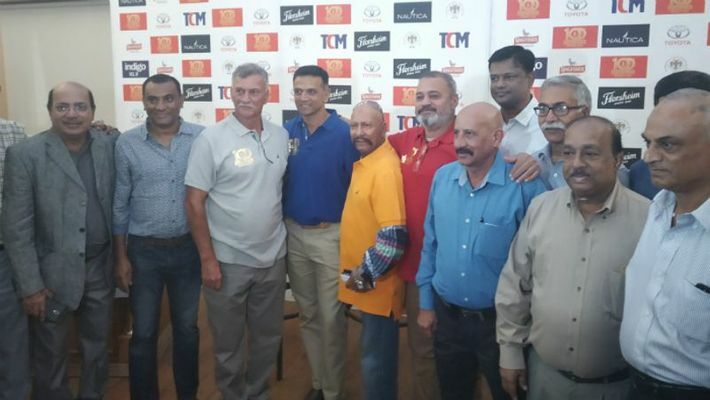 Dravid, who is now the honorary president of BUCC, said it was a “special day” as he announced that the club will be celebrating the completion of 100 years. “It is a special day for me,” Dravid said at a press conference at Karnataka Golf Association (KGA) on Friday. The former India skipper recalled how he joined BUCC as 10-year-old and was taught the basics of cricket by late Keki Tarapore. BUCC is the first club in Karnataka to complete 100 years. Just like Dravid, there were several other cricketers who started off their careers at BUCC and went on to represent India. Some of the big names to have played for BUCC are Syed Kirmani, Roger Binny, Sadanand Vishwanth, Dodda Ganesh, Raghuram Bhat, Stuart Binny and the current India opening batsman KL Rahul. “BUCC laid the foundation for my success at the international level. I started my career at the club as a 10-year-old, playing the fifth division league,” Dravid said. Dravid recalled how Tarapore taught him not only about the game but how to be disciplined. He added that he was privileged to play alongside 1983 World Cup winners Binny and Kirmani at the club. “As a 10th standard school boy, I had the privilege of playing under Roger Binny’s captaincy. Playing for the club was an incredible boost for my career. I will be forever grateful to the club. I remember, Kirmani would play club matches with all seriousness even after playing 88 Tests for India,” he said. Dravid, who is now the coach of India A and Under-19 teams, revealed how “frightful” it was to travel on a two-wheeler with wicketkeeper Vishwanath. In those days, he said that there was no junior-senior divide and he used to bum a ride from Vishwanath. “As a 15-year-old, I used to travel with Sadanand Vishwanth on his two-wheeler. But I must say that it was a frightening experience,” he said. As part of the centenary celebrations, BUCC will host a ‘Golf Day’ on March 22, 2019, with some of the international cricketers in action. It is a fundraising event and the funds will be utilised by the club to elevate its facilities.